Planet of the Apes has ten reels as it has two sets of Reels. Those sets of Reels host a total of 40 lines on the Reels of the game. These lines can results in large payouts for you throughout the gameplay. In addition to the stake lines, there are bonus features and unique symbols that can result in more significant prizes. The slot machine revolves around one of the most popular and successful film franchises in the world that have the same name. 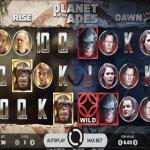 The slot machine takes you into two specific movies, the Rise and the Dawn of the Planet of the apes for a great experience, multiple bonuses, and an overall fun ride. 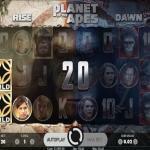 Planet of the Apes Fun! Planet of the Apes is one of the greatest film franchises of all time; the original film was so successful that it inspired countless sequels, remakes and more. 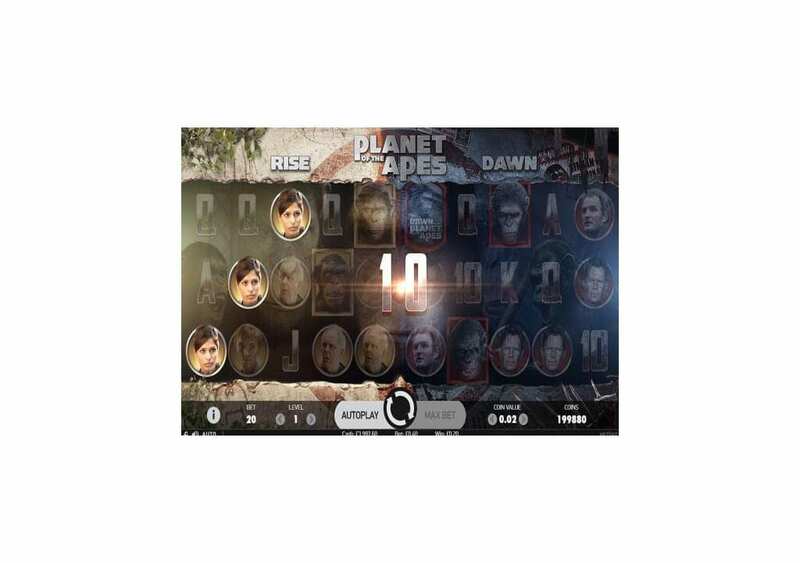 If you are a fan of the film franchise, then you will undoubtedly enjoy this new slot machine by Net Entertainment that revolves around that franchise. So get ready to engage in the experience while claiming plenty of fortunes. You will be able to claim these treasures whether through the rewarding forty lines of the game or through the bonuses and features that Planet of the Apes has. The game has a unique format of ten reels because it has two sets of spinning reels that host a total of forty lines. 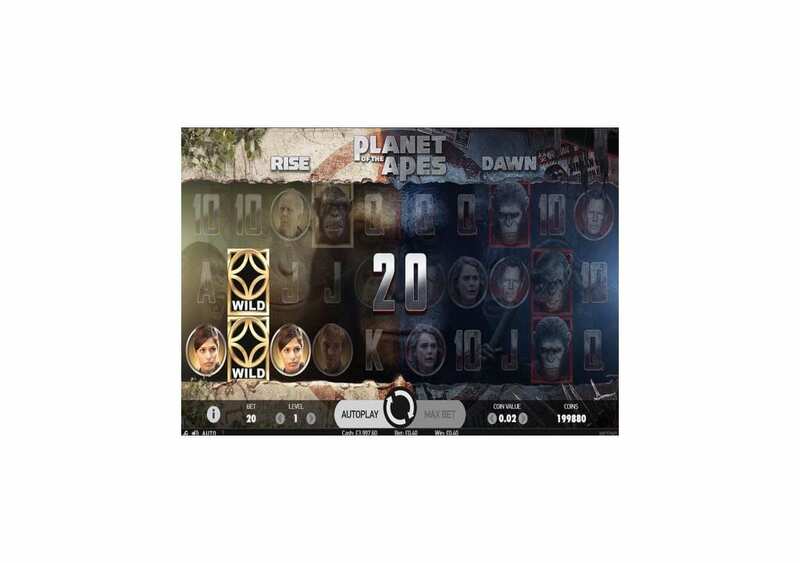 You will see that the game has two parts, each part revolves around one of the movies form the franchise. The slot provides you with an engaging experience with high-quality symbols, great sound effects, and an overall immersive ride. As the title of this video slot shows, the slot machine revolves around one of the greatest movies of all times, Planet of the Apes. The original film in this American Sci-Fi franchise made its debut back in 1968. The film inspired its story from the novel by the French Writer, Pierre Boulle “Planete Des Singes,” which translates to Planet of the Apes. Due to the high success of the movie, it witnessed several sequels from 1970 to 1973. A film reboot back in 2011 brought the franchise back to life with the Rise of the Planet of the Apes. Due to the great success of the movie, they made two more films. 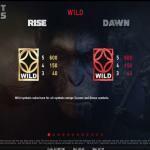 These films are Dawn of the Planet of the Apes and War For the Planet of the Apes; the latter made its debut this year. The movies were able to gross over two billion dollars worldwide while having a budget of 567.5 million dollars. The slot machine has two sets of reels; each reel revolves around a specific movie. The one at the left is about the Rise of the Planet of the apes, and the one on the right is the Dawn of the Planet of the Apes. Therefore, you will see characters from each movie, as well as other symbols. These graphics and symbols will immerse you into the action-packed events of each of the great movies. 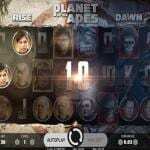 Planet of the Apes has a unique format as it hosts two sets of reels, with each reel revolving around a certain movie from the franchise. The slot has ten reels, with five reels for each set of reels. 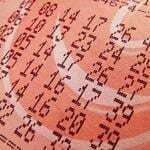 The Reels offer a combined total of forty lines that can result in tremendous payouts. 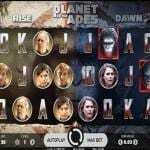 The symbols that are going to spin the reels of the slot machine include characters from the two movies, each appearing on their respective reels. 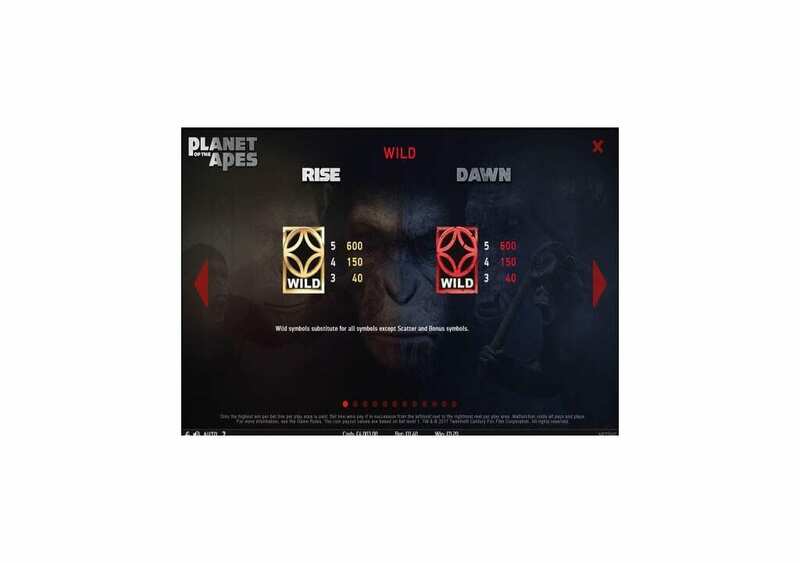 You will also see apes, the logo of the game and more. All symbols and graphics come in high quality which manages to immerse you into the action-packed events of the two movies. As for controlling the slot machine, you will find the buttons underneath the two reels. 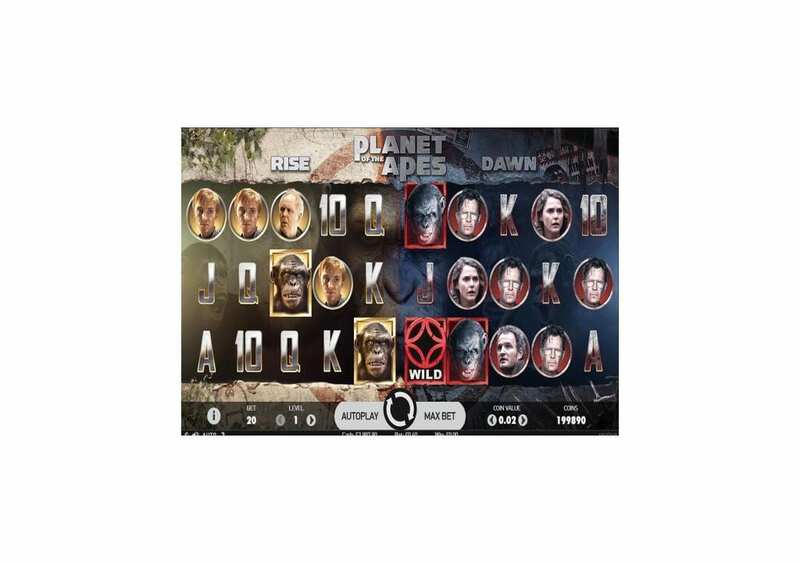 It is where you will be able to place stakes, spin the reels, and utilize the auto play feature and more. 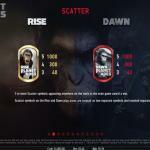 Planet of the Apes does not suffer any shortage of payouts that you can claim throughout the gameplay, thanks to its 10-reel setup and he forty lines it has to offer you. You will need to get a minimum of three matching symbols on the same line to grab a payout. The highest payout that you can claim a line prize is equal 1000 coins. You can get that amount when you get 5x of the same film logo on the same line. 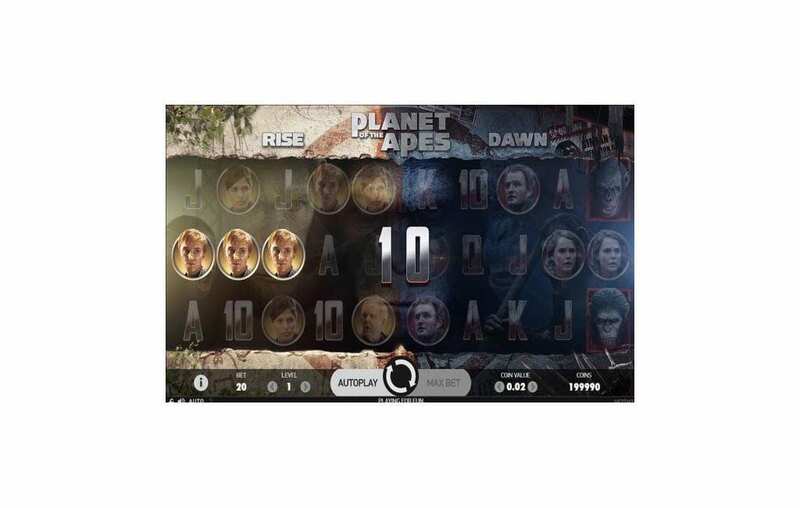 Planet of the Apes is a highly rewarding video slot machine that comes with a great set of bonuses and features for you to claim during the gameplay. Since the game has two sets of reels with two different movie themes, you will see that each set and each movie has its wild. There is the golden wild and the red wild. The wilds can replace all other symbols to help you claim the biggest prize possible on each of the lines they appear on. The wilds will not be able to replace the other unique icon of the game, the scatter. 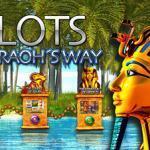 Other features include the Dual Feature, Stacked Wilds, the Rise Free Spins and the Dawn Free spins.